Kyma is a visual programming language for sound design used by musicians, researchers, and sound designers. 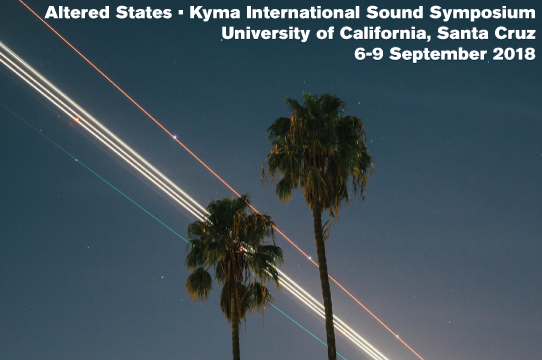 The Kyma International Sound Symposium includes concerts, talks, and demonstrations presented by Kyma experts from Australia, Belgium, China, Ecuador, Germany, Greece, Italy, Mexico, South Korea, Taiwan, United Kingdom, and the U.S. The theme of this year's symposium is "Altered States and Ecosystems." In addition to talks on the theme, there will be several concerts featuring live electronic music performances. Conference registration is required (student discounts are available). Concerts are free and open to the general public.